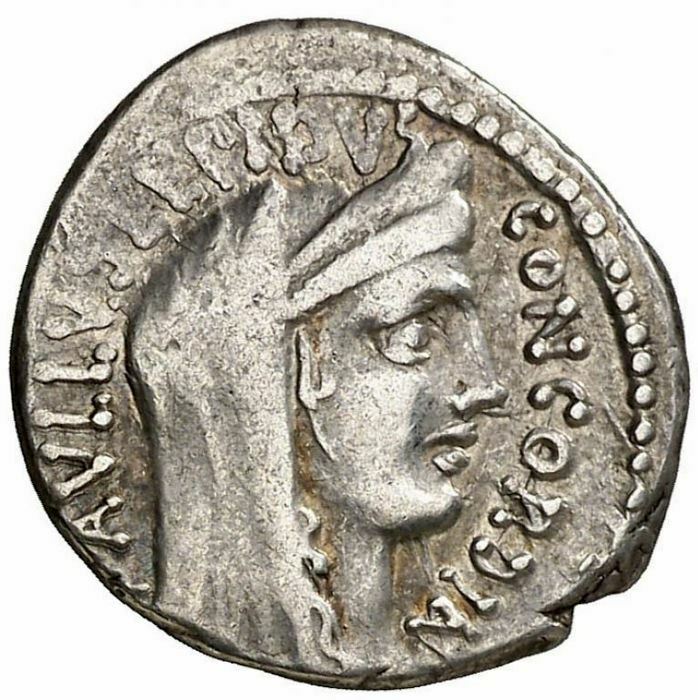 Lucius Aemilius Lepidus Paullus was the brother of triumvir Marcus Aemilius Lepidus and son to an elder Marcus Aemilius Lepidus. He supported Cicero during the Catiline Conspiracy and never supported Pompey. Paullus was quaestor in 59 BC, aedile in 55 BC, praetor in 53 BC and consul in 50 BC. During his consulship, Julius Caesar bribed him for his support. He reconstructed the Basilica Aemilia in Rome, with part of his bribery money. Before his illustrious political career, he was one of the moneyers for the year 62 BC.